INDIANAPOLIS, Dec. 10, 2015 – Record-setting performances at the World Championships and qualifying for the 2016 Olympic Games in men’s, women’s and rhythmic gymnastics are highlights from a busy and successful year for USA Gymnastics, putting the United States in a good position heading into the Olympic year. The U.S. women made history by winning back-to-back World team titles, giving the USA the top team spot from 2011-2015 between World Championships and the Olympic Games. Simone Biles of Spring, Texas/World Champions Centre, put an exclamation point on her 2015 by clinching three consecutive U.S. and World all-around titles, a first for an American. In addition to qualifying for the 2016 Olympic Games in Rio de Janeiro, Brazil, 2015 was also the year for rhythmic gymnastics and trampoline and tumbling to qualify for the 2017 World Games, the Olympic Games equivalent for non-Olympic events, in Wroclaw, Poland. The USA qualified for a spot for rhythmic gymnastics, synchronized trampoline, tumbling and double mini-trampoline. Acrobatic gymnastics qualifies for the World Games at the 2016 World Championships. Here’s a quick overview of the USA’s performances at the World Championships followed by a summary of the senior level accomplishments for each of the competitive disciplines. Click on the event titles for complete results, recaps, photos and videos (if available). The United States won the medal count at the 2015 World Championships with its 10 medals: five gold; two silver; and three bronze. The U.S. women’s eight medals were double Russia’s four, which placed second in the women’s medal count. The U.S. women made U.S. history by winning the country’s third consecutive World team title. The USA led the entire team competition, winning by a convincing 5.174 margin. 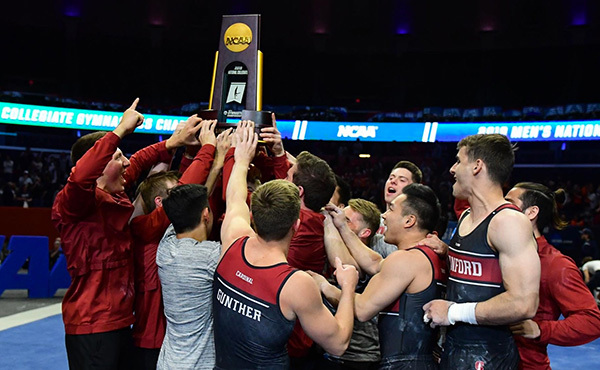 The squad was comprised of Gabrielle Douglas of Virginia Beach, Va./Buckeye Gymnastics; Brenna Dowell of Odessa, Mo./GAGE; Madison Kocian of Dallas/WOGA; Maggie Nichols of Little Canada, Minn./Twin City Twisters; Aly Raisman of Needham, Mass./Brestyan’s American Gymnastics; Biles; and MyKayla Skinner of Gilbert, Ariz./Desert Lights (alternate). They also qualified the USA to the 2016 Olympic Games. The USA is the first country to win three consecutive World team titles since Romania’s string of five (1994, 1995, 1997, 1999 and 2001; a team competition was not held during the missing years or during an Olympic year). The U.S. Team won the team title at the 2011, 2014 and 2015 World Championships. The USA also took top team honors at the 2012 Olympic Games in London. Biles became the first woman in history to win three straight World all-around titles. 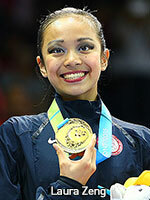 She also won both the balance beam and floor exercise gold medals, along with the vault bronze. Biles now holds the record for most World Championships gold medals by a female gymnast at 10. Biles is the first U.S. gymnast, male or female, to garner 14 career World medals, exceeding the previous record of 10 held by Alicia Sacramone. Her 14 World medals ties her for third on the women’s World all-time medalist list. Biles’ World medals are: gold – all-around (2013-15), balance beam (2014-15), floor exercise (2013-15) and team (2014-15); silver – vault (2013-14); and bronze – balance beam (2013) and vault (2015). Kocian won gold on the uneven bars, in a record-setting four-way tie; Douglas was the all-around silver medalist; and Nichols claimed the floor bronze. Danell Leyva of Miami, Fla./Team Hilton (Universal Gymnastics), claimed the high bar silver medal, and Donnell Whittenburg of Baltimore, Md./Team Hilton (U.S. Olympic Training Center), earned the vault bronze. In the men’s competition, the team placed fifth to earn a berth for the 2016 Olympics. 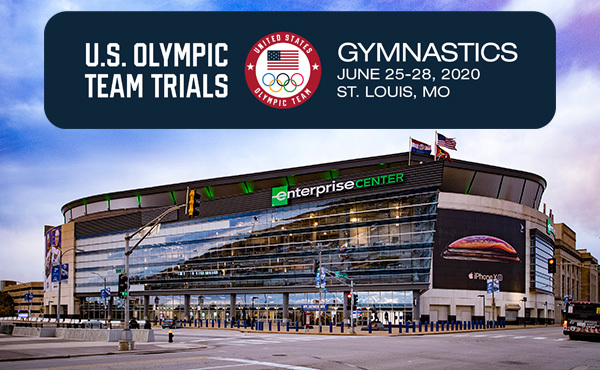 The U.S. Men’s Team consisted of Chris Brooks of Houston/Team Hilton (U.S. Olympic Training Center); Alexander Naddour of Queen Creek, Ariz./Team Hilton (USA Youth Fitness Center); Paul Ruggeri of Manlius, N.Y./Team Hilton (U.S. Olympic Training Center); Brandon Wynn of Voorhees, N.J./Team Hilton (U.S. Olympic Training Center); Leyva; and Whittenburg. Marvin Kimble of Milwaukee, Wis./Team Hilton (U.S. Olympic Training Center), was the alternate. 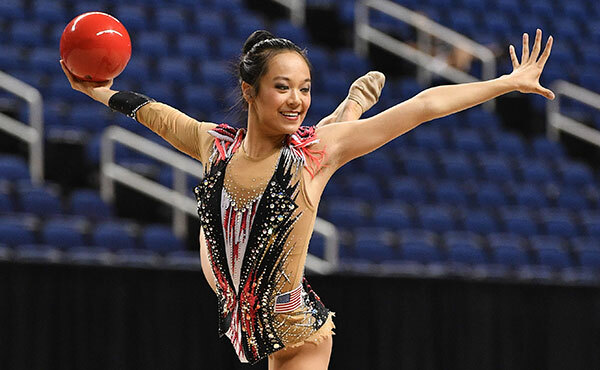 Five-time Pan Am Games gold medalist and World clubs finalist Laura Zeng of Libertyville, Ill./North Shore Rhythmic Gymnastics Center, finished in eighth place in the all-around final at the 2015 World Championships. Zeng’s eighth-place finish is the best finish for a U.S. gymnast at a World Championships in the all-around and qualified the U.S. for the 2016 Olympics. The U.S. Rhythmic Group finished in 13th place in the all-around and earned a spot for Team USA to the 2016 Olympic Games as the highest-ranked group from the Americas. The members of the U.S. senior group, who train at North Shore Rhythmic Gymnastics Center, are: Kiana Eide of Northbrook, Ill.; Alisa Kano of Glencoe, Ill.; Natalie McGiffert of Northbrook, Ill.; Monica Rokhman of Northbrook, Ill.; Jennifer Rokhman of Northbrook, Ill.; and Kristen Shaldybin of Chicago. The USA qualified for the Olympics in both individual and group rhythmic gymnastics for the first time since 1996, when the Olympics were held in Atlanta, Ga.
Erin Jauch of Crystal Lake, Ill./Fox Valley Tumbling and Trampoline, successfully defended her World double mini-trampoline title at the 2015 World Championships. She is the first woman to win back-to-back World double-mini titles since New Zealand’s Kylie Walker (1992 and 1994). 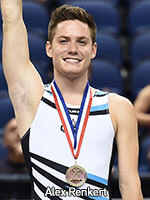 Austin White of Newport Coast, Calif./World Elite Gymnastics, won the gold medal for men’s double mini-trampoline. He is the first U.S. gymnast to win the men’s title since 1978. 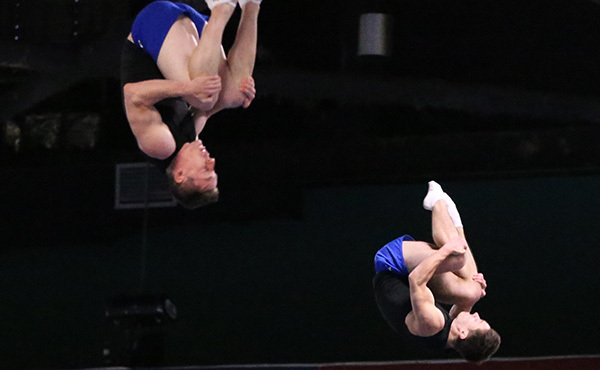 The U.S. men tied with Canada for the double mini-trampoline team silver. The members of the men’s double-mini team were: Austin Nacey of Braidwood, Ill./TwistStars Tumbling and Trampoline; Alex Renkert of Indianapolis, Ind./Integrity; Garret Waterstradt of Savoy, Ill./Sun Elite Gymnastics; and White. 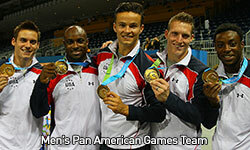 The U.S. also picked up bronze team medals in men’s tumbling and women’s double-mini. 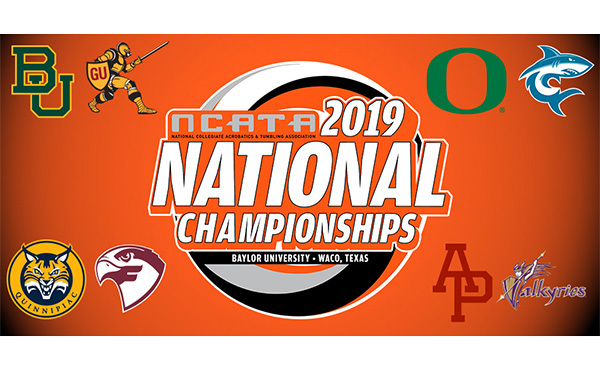 The men’s tumbling team featured: Brandon Krzynefski of Centreville, Va./Capital Gymnastics National Training Center; Jackson Tyson of Greensboro, N.C./Flip Force Gymnastics; Nacey; and Renkert. On the women’s double-mini team were: Paige Howard of Mission Viejo, Calif./World Elite Gymnastics; Kristle Lowell of Orland Park, Ill./Tumbling on USA; Tristan Van Natta of Pendleton, Ind./Integrity; and Jauch. The USA qualified for two men’s and one women’s spot at the Olympic Test Event in Rio, which is the last opportunity to qualify for the 2016 Olympics. A summary of the key accomplishments on the senior elite level is listed below. For complete stories and results, click on the event title. Pan Am Games, Toronto, Ont., Canada. The U.S. women won their fourth straight, and 13th overall, Pan Am Games team title. 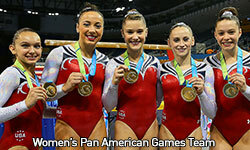 In addition to Madison Desch of Lenexa, Kan./GAGE, who captured the all-around silver medal, the members of the U.S. Team were: Rachel Gowey of Urbandale, Iowa/Chow's Gymnastics; Amelia Hundley of Fairfield, Ohio/Cincinnati Gymnastics; Emily Schild of Huntersville, N.C./Everest Gymnastics; and Megan Skaggs of Marietta, Ga./Gymnastics Academy of Atlanta. Gowey earned the gold medal on the uneven bars. Hundley garnered silver on the floor exercise and the bronze on the uneven bars, while Skaggs took home the silver on the balance beam. P&G Gymnastics Championships, Indianapolis, Ind.. Simone Biles captured her third consecutive senior women’s all-around title at the 2015 P&G Gymnastics Championships. Biles is the first U.S. woman to win three all-around titles since Kim Zmeskal in 1992. 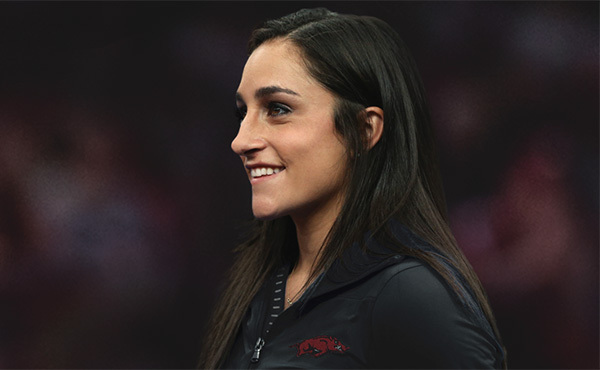 Maggie Nichols earned the all-around silver, and 2012 Olympic floor exercise and team gold medalist Aly Raisman earned the bronze. Event titles went to Biles for both vault and beam; Madison Kocian, uneven bars; and Raisman, floor exercise. Jesolo (Italy) Trophy. The United States women won the senior team titles and swept all three all-around medals at the Jesolo Trophy competition. The senior U.S. Team was comprised of Alyssa Baumann of Plano, Texas/WOGA Gymnastics; Gabrielle Douglas; Bailie Key of Montgomery, Texas/Texas Dreams Gymnastics; Kyla Ross of Aliso Viejo, Calif./Gym-Max Gymnastics; Biles; Desch; Nichols; Raisman; Schild; and Skaggs. 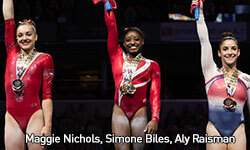 Biles led the senior team to gold while also capturing the all-around title. Key and Raisman finished second and third, respectively. The senior event champions were: Biles, senior vault, balance beam and floor; and Ross, senior uneven bars. The other senior event medals went to: Baumann, senior beam silver; Key, senior uneven bars silver; and Raisman, senior floor bronze. AT&T American Cup, Arlington, Texas. 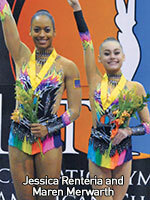 Biles and MyKayla Skinner took first and second place, respectively, at the AT&T American Cup. Pan Am Games, Toronto, Ont., Canada. The U.S. men claimed the Pan Am Games team gold medal for the first time since 1995. In addition, Sam Mikulak of Newport Beach, Calif./Team Hilton (U.S. Olympic Training Center), won the men’s all-around crown, the first American to win the Pan Am Games all-around in 28 years. Along with Mikulak, the U.S. Men’s Team was comprised of Marvin Kimble; Steven Legendre of Norman, Okla./Team Hilton (University of Oklahoma); Paul Ruggeri; and Donnell Whittenburg. Kimble claimed the pommel horse gold medal, the first U.S. gymnast to do so since Tim Daggett in 1987. The U.S. men also won six other event medals: Whittenburg, floor exercise, still rings and vault silver; Mikulak, floor and parallel bars bronze; and Ruggeri, horizontal bar bronze. World University Games, Gwangiu, South Korea. Akash Modi of Morganville, N.J./Stanford University, won the bronze medal in the all-around at the World University Games. Donothan Bailey of Lake Forest, Calif./University of California – Berkeley, won the pommel horse title, with Modi taking the bronze. P&G Gymnastics Championships, Indianapolis, Ind. Mikulak won his third consecutive U.S. men’s all-around title at the 2015 P&G Gymnastics Championships. He is the first to win three in a row since Paul Hamm in 2004. 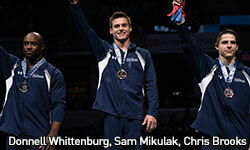 Mikulak also picked up the U.S. titles for the vault and parallel bars. Whittenburg was second in the all-around and earned the U.S. still rings title. Chris Brooks took third in the all-around. The remaining U.S. event champions are: Legendre, floor exercise; Alex Naddour, pommel horse; and Brooks, high bar. AT&T American Cup, Dallas, Texas. Whittenburg was third in the all-around at the 2015 AT&T Cup, followed by Mikulak in fourth. Doha (Qatar) Challenge Cup. 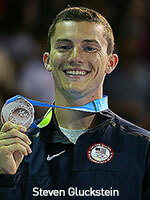 Jake Dalton of Reno, Nev./Team Hilton (University of Oklahoma), won the floor exercise gold medal at the Doha World Cup. Danell Leyva picked up the horizontal bar bronze medal. The event was part of the International Gymnastics Federation’s World Challenger Cup series. 2015 Pan Am Games, Toronto, Ont., Canada. The USA won 13 medals (six gold, six silver and one bronze) in rhythmic gymnastics at the 2015 Pan Am Games. Laura Zeng swept the individual rhythmic gymnastics gold medals, winning gold in the all-around, hoop, club, ball and ribbon finals. Zeng is the second woman ever to sweep the rhythmic gold medals at the Pan Am Games. The United States’ Mary Sanders first accomplished the feat in 2003. Jazzy Kerber of Highland Park, Ill./North Shore Rhythmic Gymnastics Center, won five medals for Team USA, with silver in the all-around, hoop, ball and ribbon and the bronze medal for clubs. The U.S. rhythmic group won the USA’s first group rhythmic gymnastics gold medal at the Pan Am Games when they won the six clubs/two hoops final. The USA’s group also picked up silver in the all-around, the USA’s first Pan Am group all-around medal since 1995, and five ribbons. The members of the rhythmic gymnastics group, are: Kiana Eide; Alisa Kano; Natalie McGiffert; Monica Rokhman; Jennifer Rokhman; and Kristen Shaldybin. USA Gymnastics Championships, Greensboro, N.C. Zeng won the gold medal in the all-around, ribbon, clubs and hoop at the 2015 USA Gymnastics Championships. Serena Lu of Staten Island, N.Y/Isadora, took top honors for the ball. 2015 Spring Cup, Ploiesti, Romania. Gabrielle Lowenstein of Huntington Beach, Calif./Eurogymnastics, traveled to Ploiesti, Romania, where she earned five medals: silver, clubs; and bronze, all-around, hoop, ball and ribbon. International Gymnastics Tournament, Corbeil-Essonnes, France. 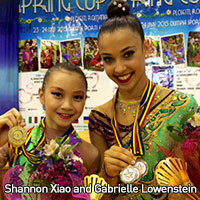 The USA claimed four medals at the International Gymnastics Tournament. The USA went two-three in the clubs final and had two gymnasts in every event final. Zeng won the all-around bronze medal, as well as the silver medal for clubs and the bronze in ball. Camilla Feeley of Lincolnshire, Ill./North Shore Rhythmic Gymnastics Center, picked up the clubs bronze. Senior International Tournament, Pesaro, Italy. Feeley and Lu participated in the Senior International Tournament. Feeley tied for third in hoop (17.050), and Lu claimed the bronze in ribbon (17.300). International Tournament of Pas de Calais (France). Lu picked up five medals at the International Tournament of Pas de Calais in Calais, France: the silver medal for clubs and the bronze in the all-around, ribbon, ball and hoop. World Cup, Mouilleron Le Captif, France. Jeffrey Gluckstein of Atlantic Highlands, N.J./ETA, and Aliaksei Shostak of Lafayette, La./Trampoline and Tumbling Express, won the bronze medal in synchronized trampoline at the World Cup. Pan Am Games, Toronto, Ont., Canada. 2012 Olympian Steven Gluckstein of Atlantic Highlands, N.J./Elite Trampoline Academy, won the silver medal in the men’s trampoline finals at the 2015 Pan Am Games. Flower Cup, Amsterdam, Netherlands. Clare Johnson of Huntsville, Ala./The Matrix Gym, won the bronze medal in women’s trampoline. USA Gymnastics Championships, Greensboro, N.C. The senior U.S. champions determined at the USA Gymnastics Championships were: trampoline – Jeffrey Gluckstein (men), and Johnson (women); tumbling – Alexander Renkert, and Garrett Wheeler of Ellenwood, Ga./FlipCity South (tie, men), and Yuliya Brown of Idaho Falls, Idaho/Idaho Elite Gymnastics (women); double mini-trampoline – Renkert (men) and Erin Jauch (women); and synchronized trampoline - Garret Chew and Tanner Robinson of Anaheim, Calif./World Elite Gymnastics (men), and Shaylee Dunavin of Amarillo, Texas/Ready Set Go-Air Extreme, and Dakota Earnest of Plains, Texas/Acrospirits (women). European Games Test Event, Baku, Azerbaijan. The USA’s Nicole Ahsinger of San Diego, Calif./SoCal TTC, won the women’s individual trampoline title in her first international competition on the senior level. Dunavin clinched the women’s bronze. The two partnered to garner the women’s synchronized trampoline crown. Pan American Championships, Caguas, Puerto Rico. The USA won three gold medals at the 2015 Pan American Acrobatic Gymnastics Championships: Maren Merwarth and Jessica Renteria both of San Antonio, Texas/Acrobatic Gymnastics of San Antonio, in women’s pair; Axel Osborne and Tiffani Williams, both of Moreno Valley, Calif./Realis Gymnastics Academy in mixed pair; and Londrea Garrett, Josephina Kievsky and Emilia Segel of Columbia, Md./Emilia’s Acro Gymastics and Cheer, in women’s group. USA Gymnastics Championships, Greensboro, N.C. 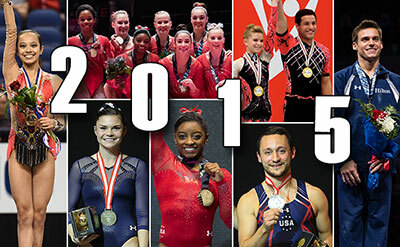 The 2015 senior U.S. combined champions crowned at the USA Gymnastics Championships were: mixed pair – Osborne and Williams; women’s pair – Merwarth and Renteria; and women’s group – Garrett, Kievsky and Segel. World Cup Series. 2014 World bronze-medalists Kiley Boynton and Ryan Ward, both of Riverside, Calif./Realis, became the first U.S. mixed pair to win the International Gymnastics Federation’s World Cup Series title. Additionally, the U.S. women’s pair of Merwarth and Renteria finished third in the World Cup Series rankings. Geneva (Switzerland) World Cup. Boynton and Ward won their second straight International Gymnastics Federation World Cup mixed pair gold medal at the Geneva World Cup. Garett, Kievsky and Segel won the senior women’s group title at the Geneva International Acro Cup, held in conjunction with the World Cup. Varna World Cup, Varna, Bulgaria. Boynton and Ward won the mixed pair gold medal at the Varna World Cup. Merwarth and Renteria finished third in the women’s pair final. Maia (Portugal) World Cup. Boynton and Ward placed third in the mixed pairs at the Maia World Cup.